Property 1: Perfectly pristine pedestal home offers it all and then some. Property 3: Cabin 19, 3 Hours From DC! Mid-week specials! Great hiking, skiing, MTB. Property 4: This one is so special. You have to see it to believe it. Property 6: Adorable and Affordable Mountain Cabin Has It All and Then Some! Property 7: Recently renovated and freshly decorated-welcome to Mountain Getaway! Property 8: Private Romantic Getaway, Tucked in the woods! Private Hot Tub! 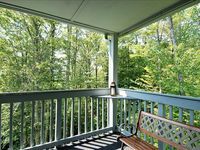 Property 9: Enjoy Panoramic Views from this adorable Treehouse! Hot Tub w/ a view! Property 10: Private, quiet and picture perfect. Welcome to Fern Glade Cottage! Property 11: Accomodating, Affordable, Accessible ~ Sunset Chalet!! Property 12: Cozy mountain cabin in a most convenient location for an incredible vacation! Property 13: Brilliant 2BR 2.5BA Townhome in Davis, WV - steps to Stumptown Brewpub. Property 16: Affordably priced for a romantic getaway or family retreat~Beautiful Berkana! Property 17: Two stories of comfort-15 Acres of Privacy. No wonder the eagle landed here! Property 19: Mountain Hideaway in private wooded property near attractions, Newly updated! Property 20: Luxurious, rustic, private vacation home - with great view! Petite but complete this enchanting vacation home is sure to delight! Property 21: Petite but complete this enchanting vacation home is sure to delight! Property 22: Winter is fast approaching. Book Now! Hot tub, wifi, great rates! Property 23: Fabulous Rustic Mountain Cabin a Short Walk to Slopes and Trails! Property 24: Romance is alive in this beautiful and secluded mountain cottage. Property 26: Incredibly private and affordably to Four Seasons of Fun! Property 27: Skiers, bikers, boaters, hikers, to Rock Wall Inn! Property 28: Fabulous Mountain Views in a Mountain Cabin of Comfort! Property 31: Peace, quiet and a marked hiking trail to the is good! 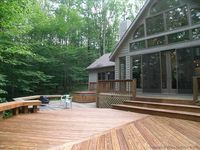 ✧Meadow Cabin - Luxury Getaway For Two - Within Sight Of WV Ski Slopes! Property 32: ✧Meadow Cabin - Luxury Getaway For Two - Within Sight Of WV Ski Slopes! Property 33: Wonderful location and lovely accommodations truly provide The Great Escape. Property 34: Lovely Streamside Home Provides Easy Access to All Things Canaan Valley! ✧ Majestic Cabin - luxury log cabin for two with a hot tub and mountain view! Property 35: ✧ Majestic Cabin - luxury log cabin for two with a hot tub and mountain view! Property 36: Zeeplace has it all! In the Heart of Canaan Valley! Property 38: Snow Diggs is a Cozy Escape Walking Distance to the Slopes and Trails! Property 40: Affordably priced and amazingly nice mountain cottage offers peace and quiet. Property 42: Amazingly affordable lodging in the center of Canaan Valley! Property 43: Perfect Mountain Getaway w/Lake View and Access! Pet Friendly. Property 48: A beautiful view and lots of extras too! Super affordable lodging!! Property 49: Incredibly Plush meets Amazingly Priced! Rating Details: The property manager was very helpful. The vacation rental was spotless. I was very happy with the location. I was very satisfied with the condition of the vacation rental. Overall, I recommend this vacation rental. Reviewer Comments: Lovely wood burning fireplace. Spacious with all you need to cook a lovey meal in the kitchen.